Social media sites have been with us for more than two decades. The first social media channel was created in 1997 and was called Six Degrees. It allowed users to send messages and post bulletin board pieces. A lot has changed since then – it’s hard to imagine everyday activities without Instagram, Twitter, or Facebook. Social media had also become one of the backbones of marketing. It’s hard to imagine any marketing campaign, even an offline one, without sparking some kind of social media involvement. As with everything, there are pros and cons when it comes to social media presence. 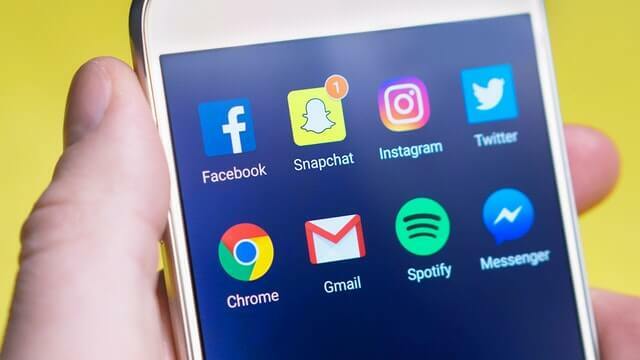 On the one hand, the development of social media channels presented opportunities for better-targeted, more creative and interactive marketing campaigns. We can now address our marketing campaigns more precisely and reach our potential clients on the right platform and at the most convenient time. On the other hand, social media marketing offers tons of data – some of them necessary for taking insightful decisions, and some just useless vanity metrics. How do you find useful data in the sea of information? The success of your online marketing campaign depends on many factors, for example, the right execution of an idea or understanding the needs of your audience. Still, one of the most crucial aspects is the correct analysis and interpretation of the data you’ve collected from your social media accounts. That’s where social media analysis shows its potential! In this blog post, I’ll explore the benefits of social media analysis and show you why do you need social media analysis. What is social media analysis? What are the benefits of social media analysis? What pieces of information will social media analysis provide? How to analyse your social media channels? Why is social media analysis a necessary part of your marketing strategy? 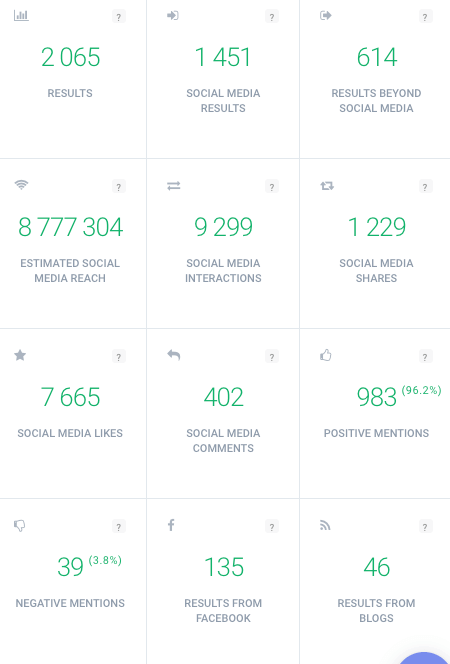 To get the most out of social media marketing campaign, you need to analyse the data you gathered during your previous activities. You don’t have to run test campaigns before your big opening. Social media analysis is based on the data you already have – from your previous posts, interactions with your followers, earlier social media campaigns and so on. If you’re new to the social media game, you can analyse the social media presence of your competitors. That will allow you to prepare a benchmarking dossier and you’ll have a general idea of what works and what doesn’t in your industry. Social media analysis is all about collecting the most valuable data and drawing actionable conclusions. Social media analysis will help you develop the most successful social media campaign. A campaign that will reach the right audience, at the right time, and via the right channel. To be fair, I have to admit – social media analysis is a time-consuming process. That’s why, I’d love to dig a little deeper convince you to perform it anyway. Here are the benefits of social media analysis. Information is power. The more actionable insights you can collect, the better campaign and general social media presence you’ll be able to develop. Therefore, social media analysis should be an incremental part of your marketing planning. What exactly are the benefits of social media analysis? That’s one of the biggest challenges awaiting social media managers. How should you calculate the ROI of your social media marketing presence? Which social media metrics you want to focus, depends on your social media goal. Identifying sales from your social media channel requires different metric than measuring brand awareness. Nevertheless, in every case, it’s necessary to assess the impact of your marketing activities. If you don’t measure it, you can’t improve it. Estimating the social media reach, analysing the number and type of interactions, assessing the sentiment around your content, tells you whether you’ve reached the right audience. If the results of your social media analysis aren’t satisfactory, you should implement changes to your marketing tactics. An exhaustive social media analysis of your marketing activities is not a mumbo jumbo, but solid data you could base actionable actions upon. The figures will indicate the effectiveness of your social media marketing campaign and provide insights into how to improve your social media presence. Analysing the results of social media activities can also have a positive impact on enhancing your social media strategy. The results of social media analysis indicate which social media channels will bear the fruit and deliver your social media ROI. After all, there is no point in investing your time and effort into channels where your message won’t be heard. Another benefit of social media analysis is the ability to create better content. And by better content, I mean content that is attractive and engaging to your audience. Content that will bring you new clients. Social media algorithms favoured content that sparks interactions. The more likes, shares, or comments your photos, films, or posts generate, the better. 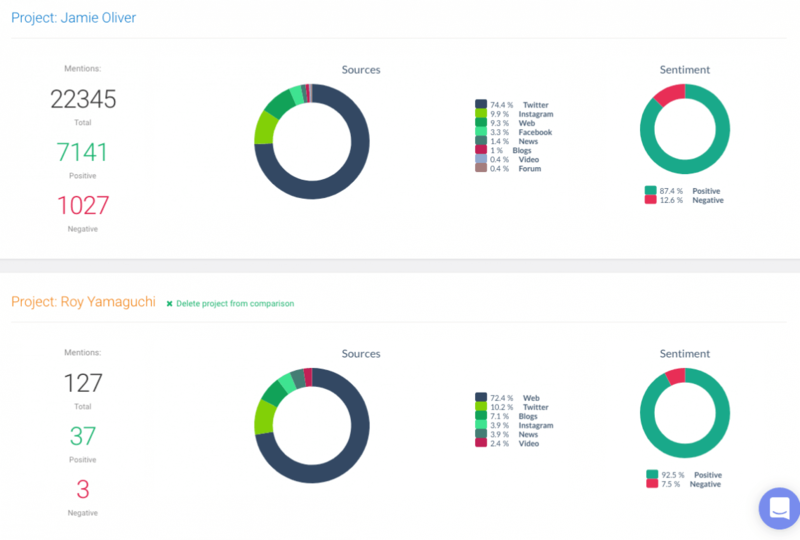 Social media analysis will tell you which type of content should you focus on. Social media analysis numbers will help you get an understanding on how your company is seen on social media and what can you do to refine your image. To build a robust social media presence you need to reach the right people on the right platform. Without compelling content, it will be hard to engage your audience. Part of building your content strategy is understanding your audience. Once you know who you are talking to, preparing attractive content will be a piece of cake. By performing social media analysis you will know who interacts with your content. You will be able to prepare content, for example, photos, films, gifs, ebooks, reports, (the sky is the limit in that case) that engages your audience. 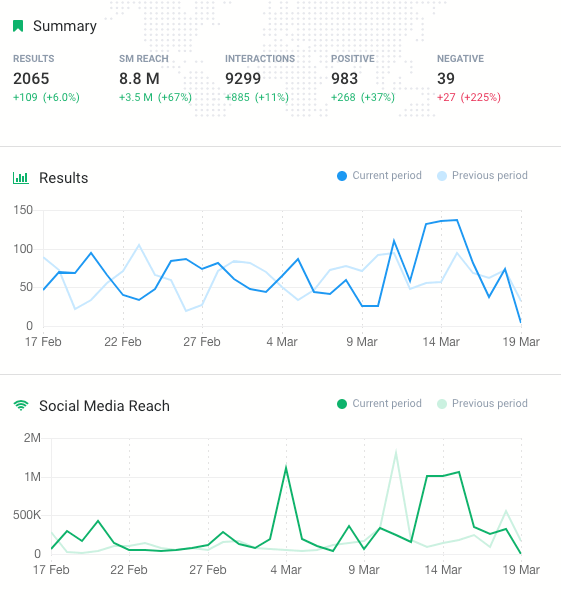 That will not only look good on your social media analysis graphs, but will also have a positive effect on your social media goals. Social media users leave a ton of information on social media, conducting a social media analysis will provide all the data you need legally and ethically. Being one step ahead of your competitors isn’t always easy. One of the vital steps in becoming an industry leader is knowing what your rivals are up to. Social media competitors’ analysis highlights any differences between you and your main competitors. The analysis pinpoints both your advantages and disadvantages. You can leverage your position by emphasizing your strengths and trying to exploit your rivals weaknesses. Imagine the situation where your competitors could ignite a conversation on one of their channels or consistently post content that users gladly engage with. Social media analysis will help identify the posts that generate the most interactions. By studying the posts, you can try to emulate the results or even adjust them to improve the results. Moreover, if you take a step back, social media analysis will help you identify social channels that are the most efficient for your business. It will save a lot of experimenting as you will be able to develop a more thoughtful and detailed social media strategy. Benchmark dossier is directly related to social media competitor analysis. In order to know whether your campaign is performing well, you need a point of reference. Analysing in-depth the social media presence of your competitors will provide all the necessary data. Analyse the average social media metrics on which you want to base your campaign. The median will give you a general idea on how your social media campaign stands in your industry. Social media analysis will not only provide insights into the current state of your industry, but could also pinpoint the direction in which your industry is headed. By analysing the general talk around your business niche, monitoring what your customers need and what improvements they would add to your product or service. The customers shape your industry. If your product doesn’t meet their needs, they will look for alternative. Customers suggestions will give you a general idea where your industry is headed. Picking them up before your competitors will make you an industry leader and could increase your market share. That’s a lot when it comes to the benefits of social media analysis but what information exactly should you look for? Who is your desired audience? Think about the demographic information, such as gender, education, employment information, age, place of residence, hobbies, and interests. And that’s just the tip of an iceberg! What are their preferred social media channels? Is it wise to invest in an Instagram marketing strategy? Maybe the majority of your audience is active on Twitter? Social media analysis will provide answers to these questions. What type of content resonates best with your target audience? Are they interacting more with photos or videos? What type of content your audience shares most often? Who are industry influencers you should keep an eye on? Influencer marketing is one of the most powerful form of marketing campaigns. The key to a successful influencer marketing campaign is choosing the right person to work with. Take a look at people who already are talking about your business niche and determine the right fit for you. What is the social media reach of posts? Answering this question will not only help you determine the success of your posts. By analysing the social media reach of your competitors’ posts you’ll be able to assess the marketing efforts of your competitors. When it comes to social media analysis, there is a ton of information to gather and analyse. And it’s impossible to collect some of the data without the help of social media analysis tool. Let’s take a look at what a social media monitoring tool has to offer when it comes to social media analysis. I’ll explore the topic of social media analysis based on Brand24, a top-notch social media listening tool. Start your social media analysis with creating a social media listening projects. 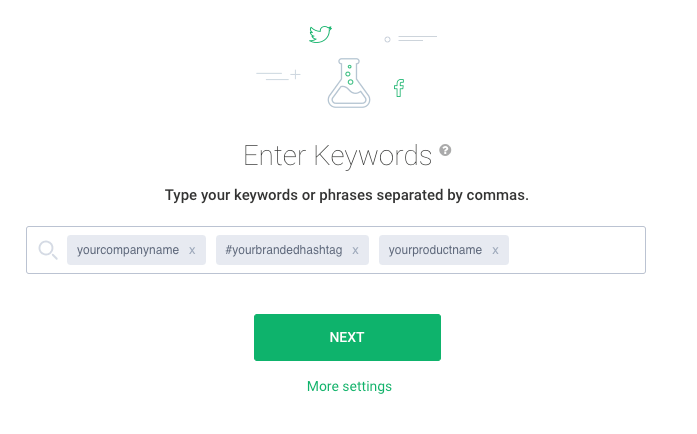 Enter the keywords you want to monitor across different social media channels. Your branded hashtag – to keep an eye on the spread of your message across social media. Brand24 will analyse the social media reach of the hashtag, sentiment around the conversation, type and number of interactions, and will prepare a list of most influential authors. A term related to your business – to find all the conversations around the topics you’re interested in. For example, if I were an owner of a lipstick company, I would monitor keywords like “lipgloss”; “gloss”; and “makeup”. Social media monitoring tools don’t collect historical data, so the analysis process starts at the moment you create a project. That’s why it’s vital to set up your project before you start a social media campaign. Brand24 will provide the most valuable social media data to improve your social media strategy. The simple truth is, if you can measure your marketing activities, you can improve them. Since the social media landscape is constantly changing, it’s important to keep up-to-date. Even slightest changes in social media algorithms could have tremendous impact on your social media presence. Analysing the effects of your social media activities could help you prevent drops in social media engagement. You will be able to spot seasonal changes and distinguish them from real problems with social media strategy. In the constantly changing social media world, keeping your finger on the pulse will help you reach your marketing goals. Social media analysis will help you be the industry leader.